Luk 6:22 “Blessed are you when people hate you and when they exclude you and revile you and spurn your name as evil, on account of the Son of Man! 1Co 5:11 But now I am writing to you not to associate with anyone who bears the name of brother if he is guilty of sexual immorality or greed, or is an idolater, reviler, drunkard, or swindler–not even to eat with such a one. 1Co 6:9-11 Or do you not know that the unrighteous will not inherit the kingdom of God? Do not be deceived: neither the sexually immoral, nor idolaters, nor adulterers, nor men who practice homosexuality, (10) nor thieves, nor the greedy, nor drunkards, nor revilers, nor swindlers will inherit the kingdom of God. (11) And such were some of you. But you were washed, you were sanctified, you were justified in the name of the Lord Jesus Christ and by the Spirit of our God. I have written several times before about this matter of the reviler, but it is so important of a subject that it bears repeating quite often. A reviler is a person who villifies others. That is, the reviler accuses others and makes them the villain. Villification is to accuse and slander and charge someone with evil, but very typically the word is used in the context of false accusations. And that is what we have in Scripture. A reviler is a person who assaults others with his tongue, who makes false accusations, who guilts and shames his targeted victim. Now first of all notice carefully from the above verses that a reviler is not a Christian. Nope. Not. The thing is impossible. Some Christians used to be revilers, but once they were washed clean by faith in Christ they revile no more. You should not have bought your new house. It is too far away from the church building and you have no accountability. You are not being kind enough to so and so. I know what you are thinking about doing and I think it is wrong. And on and on we could go. You get the idea. Bob is a reviler. Revilers accuse. Revilers make other people (never themselves) the villain. Why does the reviler revile? Because like all abusers he craves power and control over his targeted subjects. He lusts to be numero uno and wants to be seen and praised by others for his zeal. And he likes to keep you off guard so that you are easier to control. After all, if you don’t realize Bob is a reviler by his very nature, if you think he is a genuine Christian who happens to be a bit difficult at times, then you are not going to be able to expose Bob for what he really is. Revilers keep us down. They load us up with shame and false guilt. They make us believe that we are the problem and that we really just don’t measure up to Bob’s level of sanctity. Therefore, the Lord commands us to be wise, to know a reviler when we see them, and put them out from among us, having nothing to do with them. Otherwise, I can assure you, you will continue to keep getting in the traumatic train wreck the “Bobs” around us love to cause, and there will never be true peace in our lives or in our church if we keep Bob around. Mal 1:6-7 “A son honors his father, and a servant his master. If then I am a father, where is my honor? And if I am a master, where is my fear? says the LORD of hosts to you, O priests, who despise my name. But you say, ‘How have we despised your name?’ (7) By offering polluted food upon my altar. But you say, ‘How have we polluted you?’ By saying that the LORD’s table may be despised. 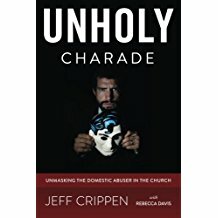 If you have dealt with thoroughly evil people – domestic abusers, sociopaths, rank hypocrites who claim to be Christians but do not know the Lord – then you know that they never accept blame for their sins. They always blame others – particularly their victims. Mal 2:13-14 And this second thing you do. You cover the LORD’s altar with tears, with weeping and groaning because he no longer regards the offering or accepts it with favor from your hand. (14) But you say, “Why does he not?” Because the LORD was witness between you and the wife of your youth, to whom you have been faithless, though she is your companion and your wife by covenant. Over and over and over we see this pattern, and if we are going to be wise in regard to evil then we had better thoroughly understand that this is how the wicked operate. Accusing. Blaming. Guilting. Everyone but themselves. Here is an evil man who habitually, deceptively, and horribly abuses his wife. Oh, he claims to be a Christian and people at church think he is just the most saintly fellow around. So when his wickedness percolates to the surface – perhaps when his victim comes forward and asks for help – very few want to believe her. And even if, over the course of time, the evidence piles up so that the hypocrite is obviously exposed for what he is, what happens inevitably is that those who have to deal with him end up being the ones primarily blamed. Here you are, perhaps a church elder or a counselor or a pastor or perhaps just the victim’s friend. This evil abuse comes to the surface. It has to be dealt with. Now, unless you are a phony yourself, or a coward, you hunger and thirst for righteousness. Justice must be done. And so you act. Well guess what? The abuser and his allies will now move their sights to YOU! Count on it. The thing is certain. And so it is when we confront the wicked who are oppressing victims. It happens in the local church all the time (at least in churches where evil is truly exposed and dealt with as the Lord commands). Pretty soon the focus shifts from the wicked man to the victims and to those who did not ask to have to deal with the situation but who are charged with doing so. Now they are being blamed and the real culprit loves it. There are many people who hate me. Why? Because as a pastor myself and our elders had to deal with evildoers. They didn’t like how we dealt with them. Which is to say, by the way, they didn’t liked that we DID deal with them! Soon, people started listening to their outcries. “They didn’t handle this right. They should have…they should not have…they were too harsh…” and on and on. But the reality is…what? The evildoer is the one who started the whole thing with his wickedness. Do righteousness and you will have nothing to fear. Walk in evil and you have no complaint about how you are dealt with. Rom 13:3-4 For rulers are not a terror to good conduct, but to bad. Would you have no fear of the one who is in authority? Then do what is good, and you will receive his approval, (4) for he is God’s servant for your good. But if you do wrong, be afraid, for he does not bear the sword in vain. For he is the servant of God, an avenger who carries out God’s wrath on the wrongdoer.